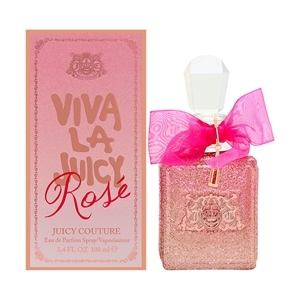 Viva La Juicy Rose opens with the fresh fruity notes of Italian mandarin and William pear intertwining with soft, dewy jasmine petals. At the heart, rose centifolia blooms into a honey-like floralcy next to white peony and jasmine sambac. Accented with decadent ambrox, sensual orris absolu, and warm benzoin, the fragrance leaves the Viva Rosé girl with an air of mischievous sophistication.